I’m up to 19.5k words on the first draft of The Morpheist, though my projected word count is also up–to 33k. I like how it’s shaping up so far, though it’s going to take a lot of working over after the first draft is done to get it ready to go. I’m realizing a lot about the motivations and desires of some of the characters as I go, even though they may not surface in this novella. I’d almost forgotten how much I like this process of discovery. I’ve had to pause it, though, to work on the revisions and polishing of “Goldilocks Zone,” the horror short I first-drafted a couple months ago. Once that’s out the door, it’s back to The Morpheist till it’s done. 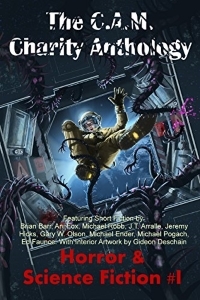 As I briefly mentioned three weeks ago, I’m going to be at PenguiCon 2012, April 27th-29th in Dearborn, Michigan (USA), on panels and otherwise slithering about. Don’t know my schedule yet, but I’ll list it here when I get it–also, it will be available online here. I’m really looking forward to this one, as PenguiCon always has some seriously awesome and fun stuff going on. 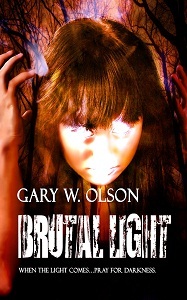 I’m also slated to be doing a reading from Brutal Light at Nicola’s Books in Ann Arbor, Michigan (USA) on May 7th, 2012 (7pm EDT). I won’t be there by my lonesome–also reading and signing there will be Jim C. Hines, author of the Princess Novels fantasy series from DAW Books, Emmy Jackson, author of Empty Cradle: The Untimely Death of Corey Sanderson, and Bethany Grenier, author of Sings with Stars. Save the date! You know what else is happening on April 28th, besides Penguicon? It’s Obscura Day! Which, according to the website, is “an international celebration of unusual places, full of expeditions, back room tours & explorations of the hidden wonders in your own hometown.” Sadly, even if I wasn’t busy that day, I’d still be far, far away from the events I’d like to go to the most, such as ones at the House of Automata in Scotland, the Athenaeum in Boston, Massachusetts, and Fermilab in Batavia, Illinois. I fully support this use of unmanned drone helicopters, even though it doesn’t seem likely to happen anytime soon: TacoCopter startup delivers tacos by unmanned drone helicopter. Here’s a cool DIY augmented reality monitor baseball cap… thing. I’m tempted to see if I can put one of these together myself. The privacy invaders are back. Did they ever leave? CISPA looks even more awful than SOPA. Waiting for those hand-manipulable 3d windows, as seen in films like Minority Report? They’re getting closer to being real. Someday soon, you’ll be able to design and print your own robot. THE FUTURE, WE ARE IN YOU. More for writers: 9 ways to piss off an editor. I don’t know how accurate this is. I’ve been a pretty princess for ages, and no editor has yet remarked on it. And finally, here’s what your favorite tv shows would look like if they starred marshmallow peeps — at least, if your favorite shows are The Walking Dead, Dexter, Downton Abbey, Game of Thrones, The Simpsons, or Arrested Development. I see this and pose two questions: 1) Whyyyyyyyyyyyyyyyyyy? 2) No Doctor Who or True Blood?